I don't know what got into me when I decided to re-read the past issues of magazine I have. By past I mean past. I re-read my Marie Claire magazines in 2008 and found articles that are worth sharing. I honestly couldn't remember that I once read such articles. Oh hello, memory gap! Anyways, I am so excited to share these articles to you. Note: The following information, ideas, lessons and views came from the magazines' writers and contributors. I do not take these as my own. First in the series is from Marie Claire's Beauty Tutor published in October 2008 (with Lea Salonga on the cover) -- False Lashes. I, myself, was not blessed with long and full eyelashes. Most of the time, I rely on using false eyelashes to achieve the drama I want in the look. The inventor of false eyelashes is a genius! 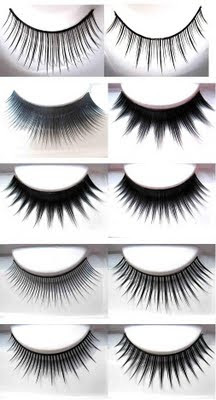 In this article, Barbi Chan of Maybelline talks about how you can reach perfection through the use of false eyelashes. 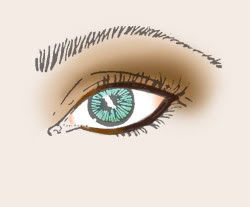 STEP 1: BRUSH ON EYESHADOW -- Make sure your eyelids are free from oil and grime beforehand, then dust loose powder on your lids and apply eyeshadow. "Natural smokey eyeshadow looks best with falsies," suggest Chan. STEP 2: CURL LASHES -- Gently squeeze your lashes at the base, just enough to create a subtle curl. 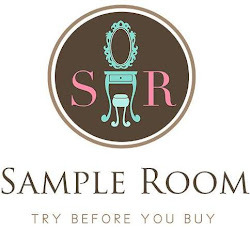 Then measure the false lashes against your natural lash line. Trim the inner ends if they're too long. STEP 3: GLUE -- Apply a thin line of glue on the base of the false eyelashes. Wait a few seconds, then pick them up using your fingers or a pair of tweezers. 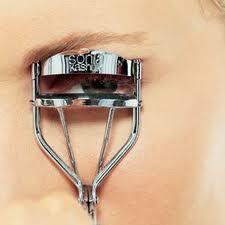 Gently press the base of false lashes with the end of a makeup brush to help secure lashes in place. 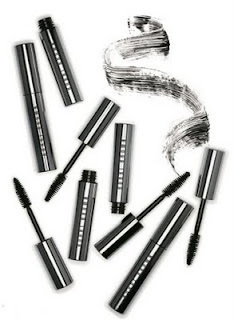 STEP 4: SWIPE ON MASCARA -- This seals the falsies to your natural lashes. Fill any gaps in between the false and natural lashes with liquid or pencil.